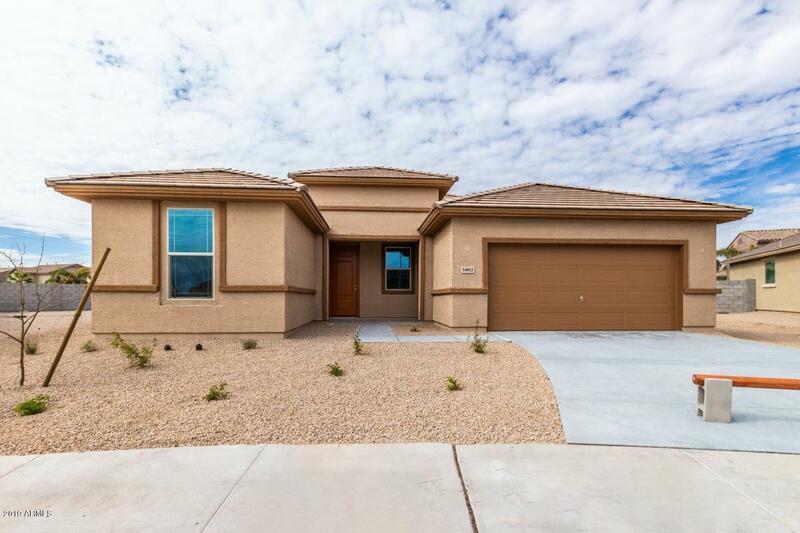 Newly built home in the community of Acoma Court in Surprise! This home has so many upgrades there isn't enough space for them all. OVERSIZED PIE SHAPED LOT!!!! The kitchen features large island/breakfast bar with granite, Classic Espresso cabinets. Upgraded tile throughout and upgraded carpet at bedrooms. Master bathroom features dual sinks, 60 inch walk in shower, and linen closet. 2-tone paint in Mindful Gray and a covered patio for all those cool mornings to sip your coffee!! Hurry this one surely won't last long!